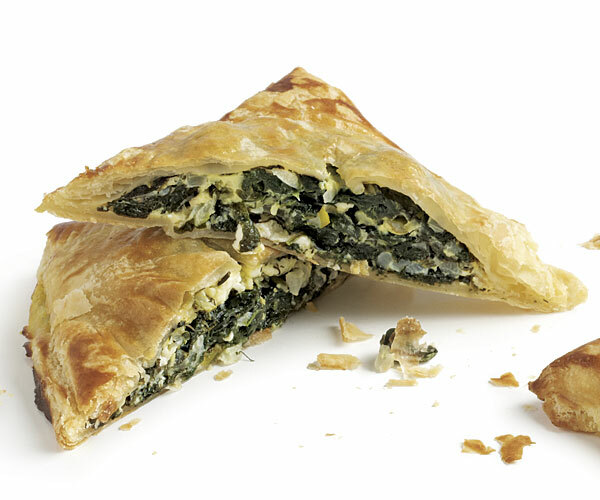 In this dish, Greek spanakopita (a phyllo, spinach, and feta pie) is re-imagined as a buttery, flaky puff pastry turnover. Position racks in the upper and lower thirds of the oven and heat the oven to 375°F. Heat 2 tsp. of the oil in a 12-inch skillet over medium-high heat. Add a batch of spinach and toss with tongs until just wilted, about 2 minutes. Transfer with tongs to a colander set over a bowl, and let drain. Repeat with the remaining spinach (don’t add more oil). Wipe the pan dry, reduce the heat to medium, and add the remaining 2 Tbs. oil. 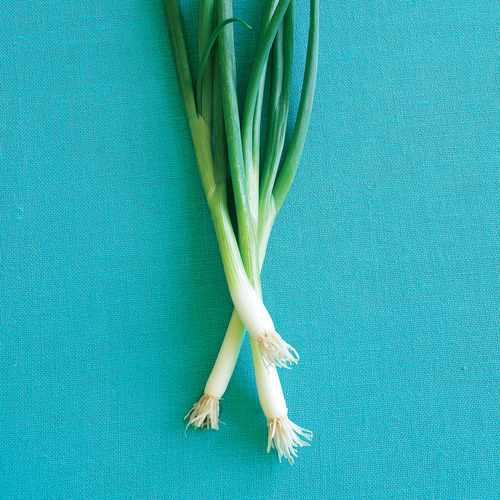 Add the onion and scallions and cook until softened, about 4 minutes. Add the garlic and cook, stirring, for 1 minute more. Remove from the heat and let cool. In a large bowl, lightly beat the 3 whole eggs. Season with 1/2 tsp. salt, a generous grind of black pepper, and the nutmeg. Stir in the dill, parsley, and pecorino. Gently stir in the feta. 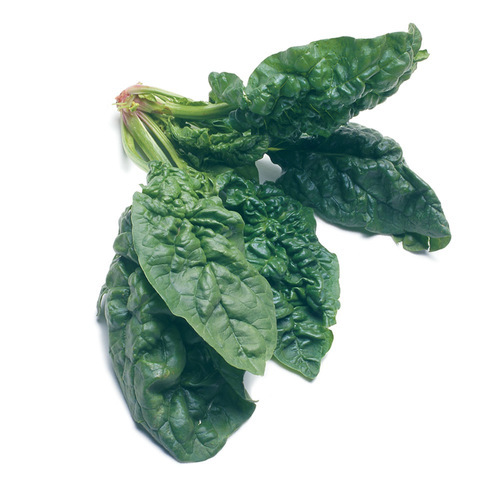 Squeeze handfuls of the spinach to release as much liquid as possible; then pull apart the clumps with your fingers. Add the spinach and the onion mixture to the eggs and stir gently to combine. Line 2 large rimmed baking sheets with parchment. Without unfolding, cut one pastry sheet crosswise into thirds (refrigerate the other sheet). On a lightly floured work surface, unfold a third of the pastry, cut it into thirds, and roll each piece into a 4-inch square. Transfer the squares to the baking sheets. Repeat with the 2 remaining thirds to yield 9 squares. Spread about 1/2 cup of the filling over each square in an even layer, leaving a 3/4-inch border on all sides. In a small bowl, whisk the 2 egg yolks and 2 tsp. water. Lightly brush the egg wash over the pastry borders. Cut the other pastry sheet as above, but roll each piece into a 5-inch square. Place the squares over the filling and press the top and bottom edges of the pastries together to seal. Brush the top of each with the remaining egg wash and cut a small vent to allow steam to escape. Bake, swapping and rotating the baking sheets’ positions halfway through baking, until a knife inserted into the filling comes out clean and the pastry is puffed and deep golden, about 20 minutes. Let cool on the baking sheet for 15 minutes, cut each square in half on the diagonal, and serve. You can freeze unbaked and unglazed spanakopitas in plastic wrap for up to 2 weeks. Before baking, thaw them overnight in the refrigerator. Whisk 1 egg yolk with 1 tsp. water and brush on each pastry. Cut a small vent in the pastries and bake as above. Serve with a lemony tomato salad. My family and I absolutely adore Spanakopita and this recipe fit the bill. I made it for our weekend guests and it was a huge hit, even with the people who had never had Spanakopita before. I followed the recipe exactly except for the puff pasty, I wanted to use up phyllo pastry which I already had on hand. Will definitely make this again. Thanks Fine Cooking!